Ho Ho Who! It’s a very special Doctor Who Christmas special this year what with Santa showing up on Clara’s roof and all. 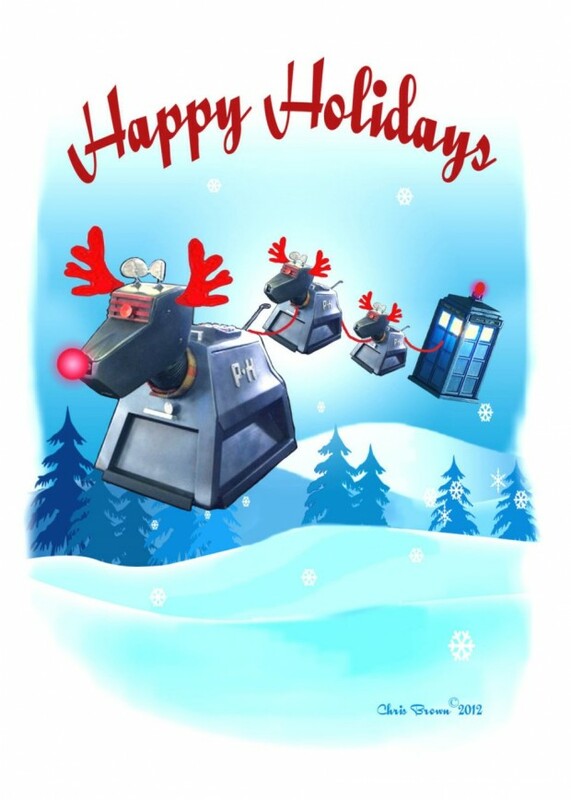 So why not celebrate by sending your friends some Doctor Who Christmas cards? 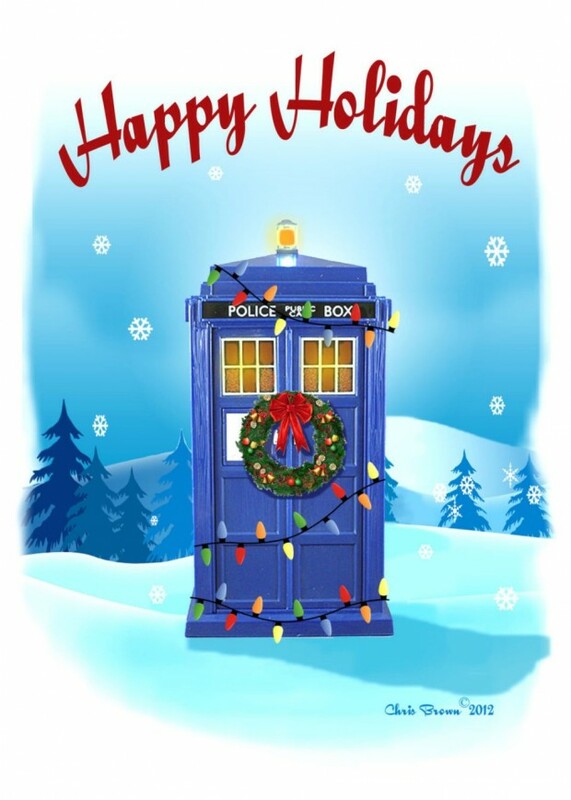 Etsy artist Rayguns and Robots has a few different timey wimey holiday cards to choose from. You can get the Dalek, K-9 or the TARDIS. All are festive and fun. I especially like K-9 with reindeer antlers. 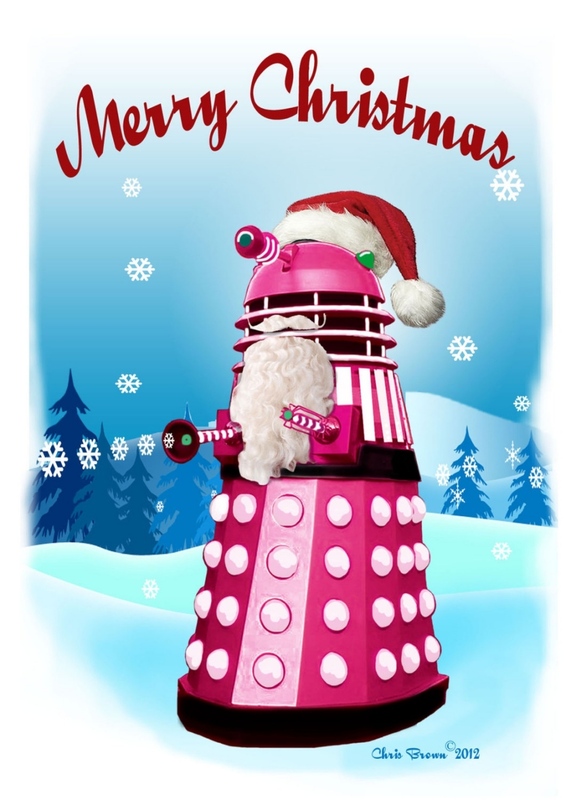 The pink Dalek shooting snowflakes is pretty cool too. Send them out to friends and family. These aren’t your parents’ old stuffy Christmas cards with pictures of Baby Jesus and snow-covered cottages.